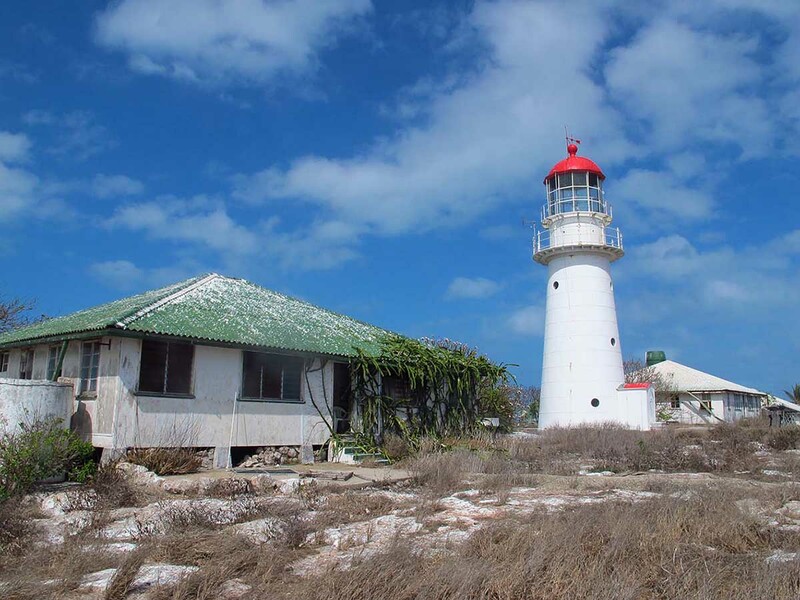 Booby Island Lighthouse | Lighthouses of Australia Inc.
Booby Island, located about 50 km (30 miles) west northwest of Cape York, marks the western entrance to the difficult navigation channel through the Torres Strait. So many ships were wrecked here in the nineteenth century that provisions were kept stocked on the island for wrecked seamen. 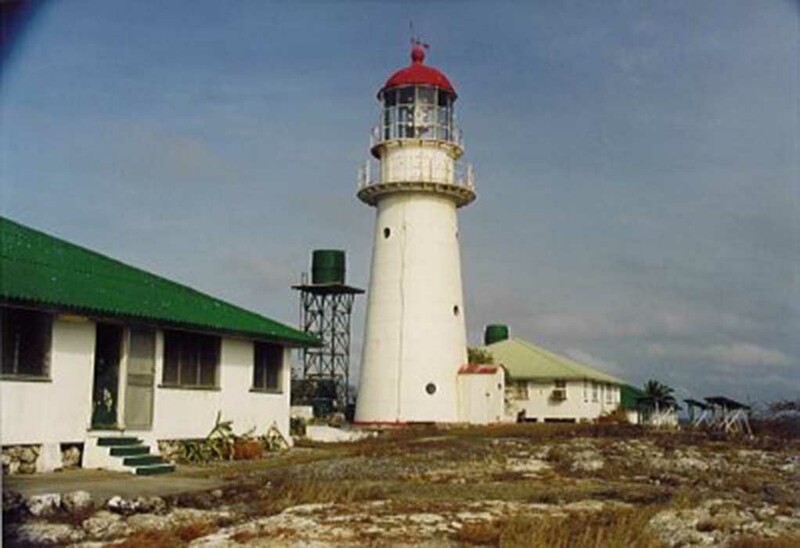 The lighthouse is located at the highest point of the island. 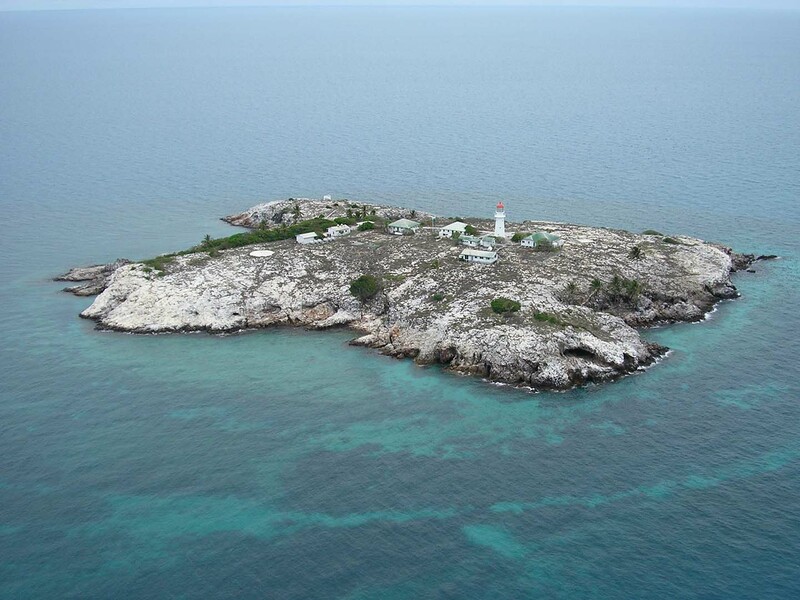 Accessible only by boat or helicoptor, special permission is required to land on the island. 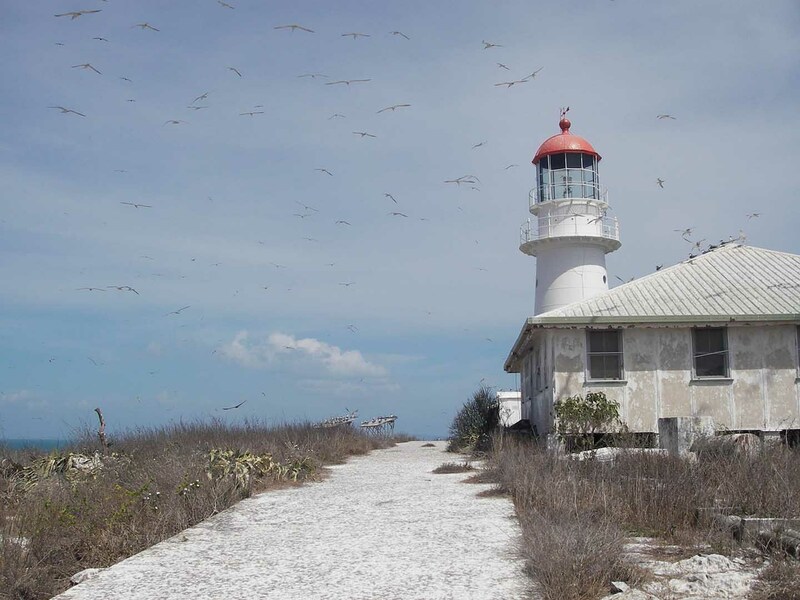 “A port of refuge on Booby Island for survivors of shipwrecks was suggested early in the 1800s. It is arguable who first suggested the idea, but Captain Bligh, who became Governor of New South Wales Colony in 1806, officially suggested the establishment of a refuge. Captain Hobson of the “Rattlesnake” which was engaged in botanic observations, proposed that a form of post office operate on the island and placed a logbook with writing materials there for that purpose. Passing ships made entries in the log and passed on information about the ships that had passed. Mail was also dropped off to await a vessel passing in the opposite direction for eventual delivery. Both the post office and provisions were well patronised and saved the life of many a sailor in distress. MacGillivray, naturalist on the “Rattlesnake” wrote:- “that this supply will be renewed from time to time is most likely, as the Legislative Council of New South Wales, last year voted the sum of fifty pounds for provisions to be left at Booby Island for the use of shipwrecked people. It seemed that the practice of provisioning Booby Island continued until the latter part of the nineteenth century. Passers-by also left food, rum and other useful items. Booby Island was a port of call by Captain William Bligh in April 1789, on his epic 6000 kilometre voyage to Timor in a seven metre open boat after the infamous mutiny on his ship the “Bounty’. 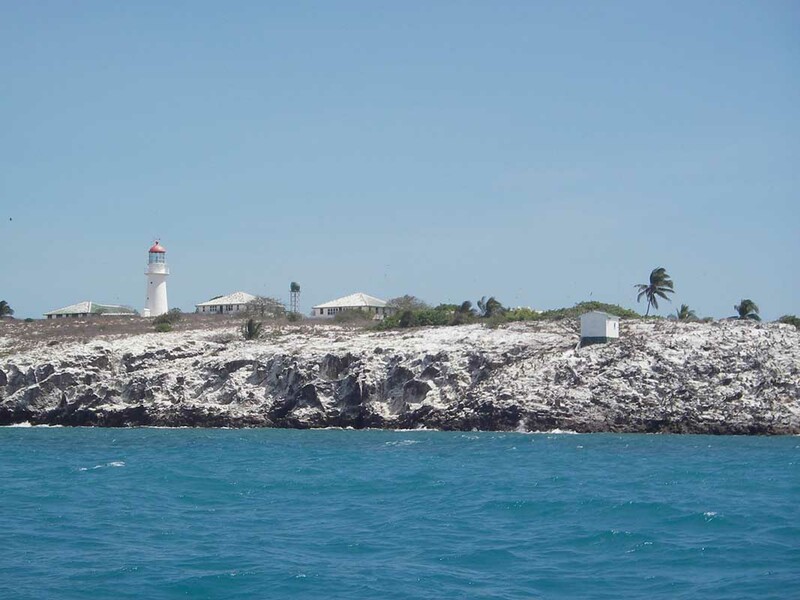 Interestingly, Captain Bligh named the island Booby Island as well. 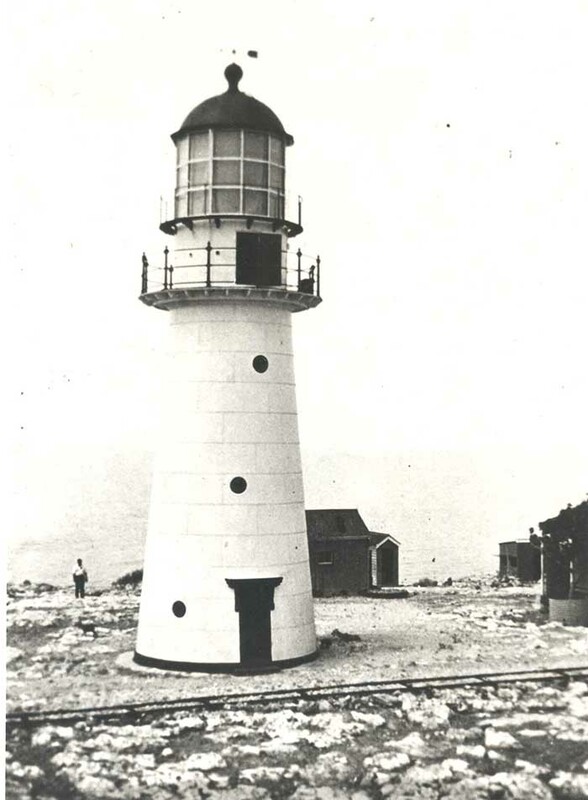 The lighthouse is accessible only by air or sea. The tower is not open to the public.